As a team, we enjoy sharing our experiences of living and working in China and inspiring others to follow in our footsteps. This sense of community and common interest is something we treasure and are keen to share with others who are interested China, travelling and networking. So, if you have been to China, are thinking of going, or are just interested in travelling and meeting new people, we invite you to join our Teach English In China Facebook group. 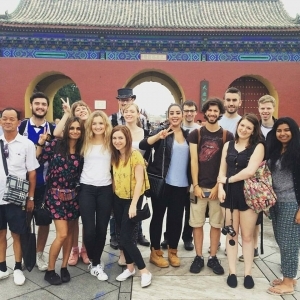 This group is a space for like-minded people to get in touch with others going to China, to network and to discuss anything from lesson planning to learning Mandarin. From time to time some of our experienced former teachers will be sharing their expertise and top tips on various topics and will be happy to answer any questions. Over the coming months, Teach English In China will be organising meetups and events around the UK, details of which will be posted to the group. We look forward to welcoming you into our community and hope to meet you at an event soon.